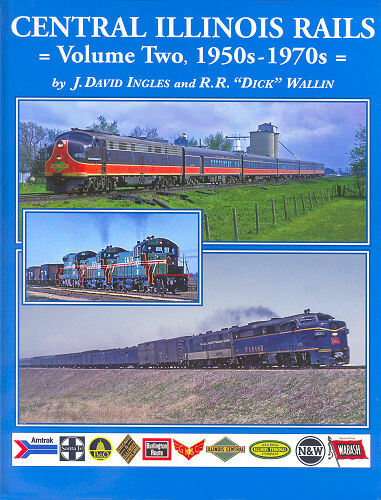 Following up their Central Illinois Rails Volume 1, well known authors J. David Ingles and R.R. Wallen have raided their extensive color slide collections for Volume Two. Over 400 color photos and includes diesels from more than 30 railroads. Passenger trains from 15 different railroads, including "Doodlebugs" from four railroads. A 2-page map of the region is included. Hard cover.